On January 25, 2018, we presented new data on well-being and self-control in the Irish population at the Institute of Banking. We conducted a study using the Day Reconstruction Method (DRM) with Amarach Research and asked almost 1000 Irish individuals to tell us about three episodes they experienced “Yesterday”. 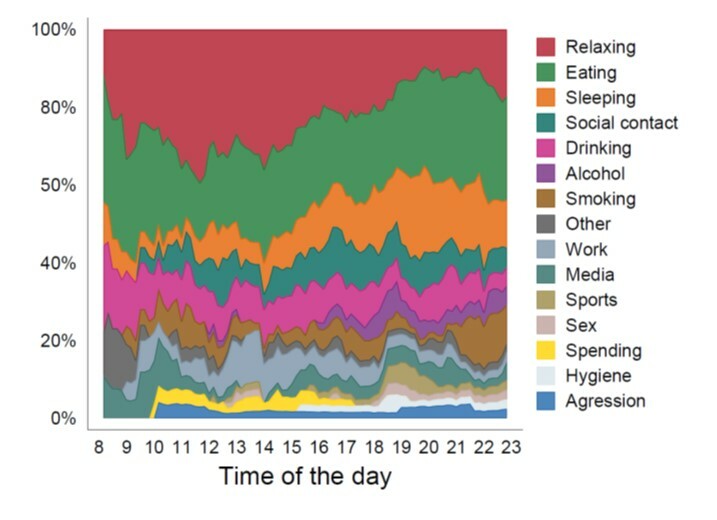 Below are some graphs from the presentation and some further reading and offers a snapshot of the many potential uses of such data across contexts. If you like to know more about the study or are interested in running similar studies yourself, please contact Liam Delaney (liam.delaney@ucd.ie) or Leonhard Lades (leonhard.lades@ucd.ie). 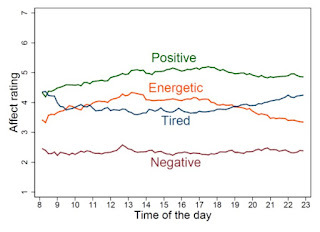 Figure 1: Four experiences during the day. 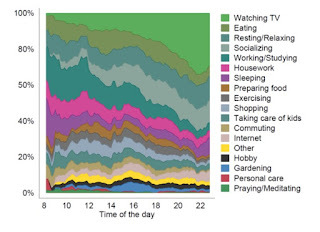 Figure 2: When did people engage in different activities? 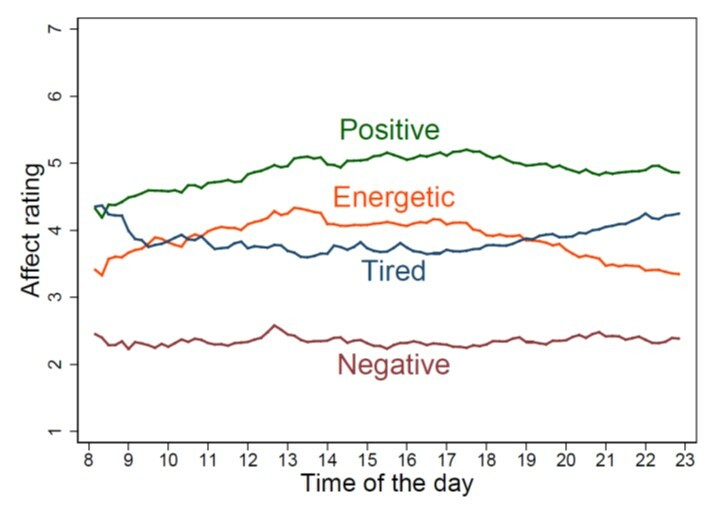 Figure 3: How positive did people feel during different activities? 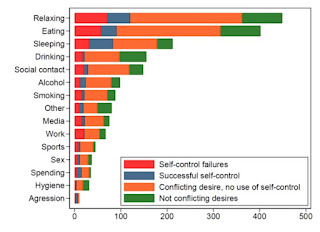 Figure 4: How many desires did people have and how many desires led to self-control failures. We define self-control failures as desires that are (i) conflicting, (ii) attempted to be resisted, and (iii) nonetheless enacted. 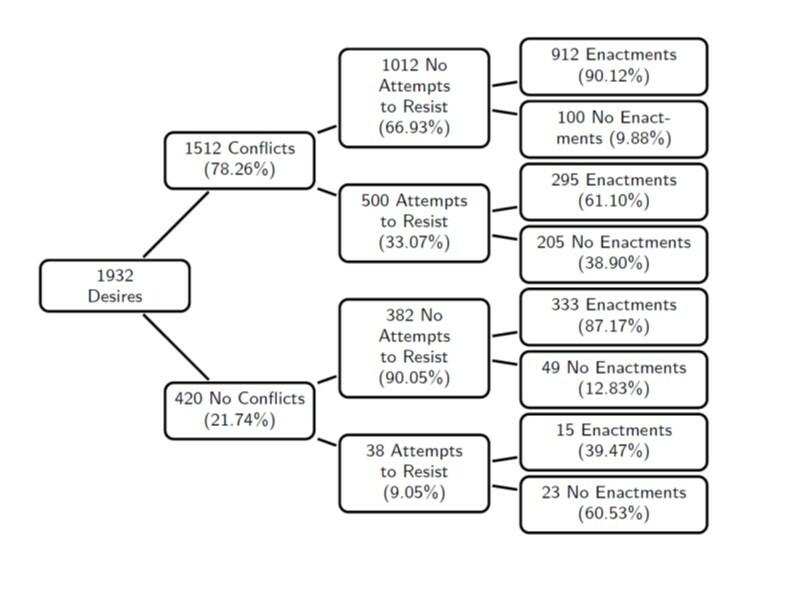 Hence of the 1932 desires we recorded, 295 led to a self-control failure. 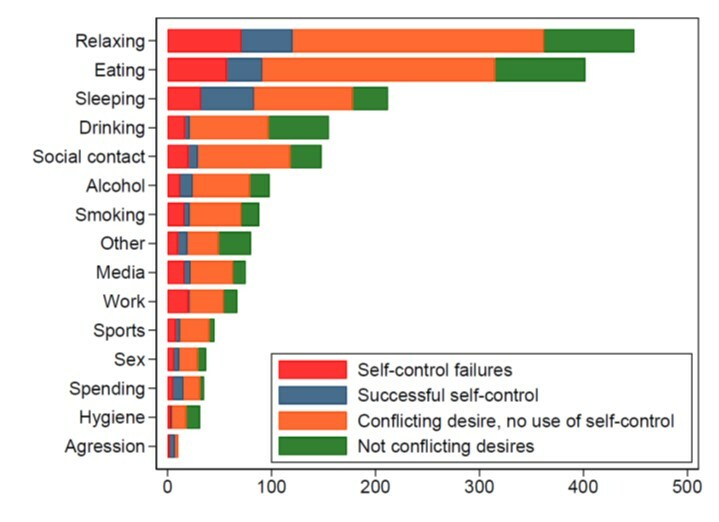 Figure 5: In which domains did desires (the length of each bar) and self-control failures (coded in red) occur? 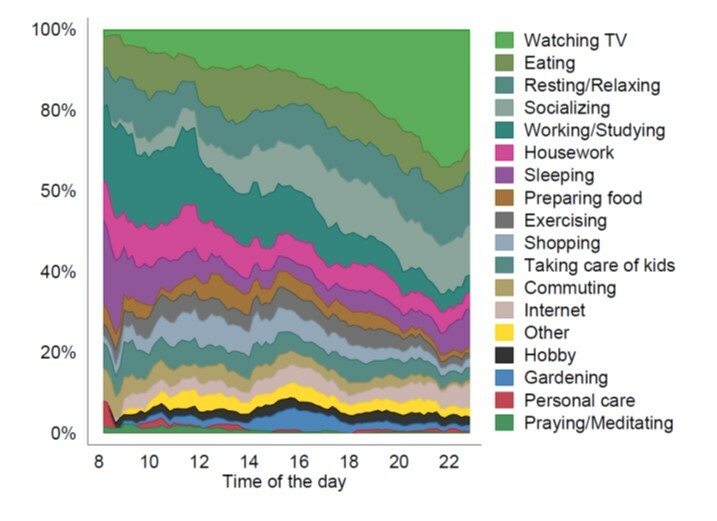 Figure 6: When and in which domains did desires occur? 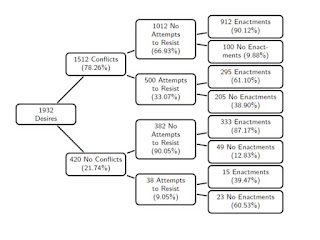 Figure 7: When and in which domains did self-control failures occur? 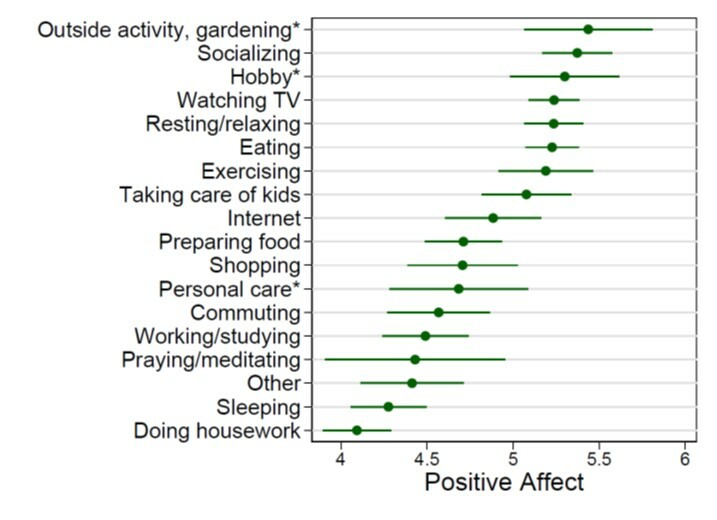 Figure 8: The links between desire enactment, use of self-control, and positive experiences. 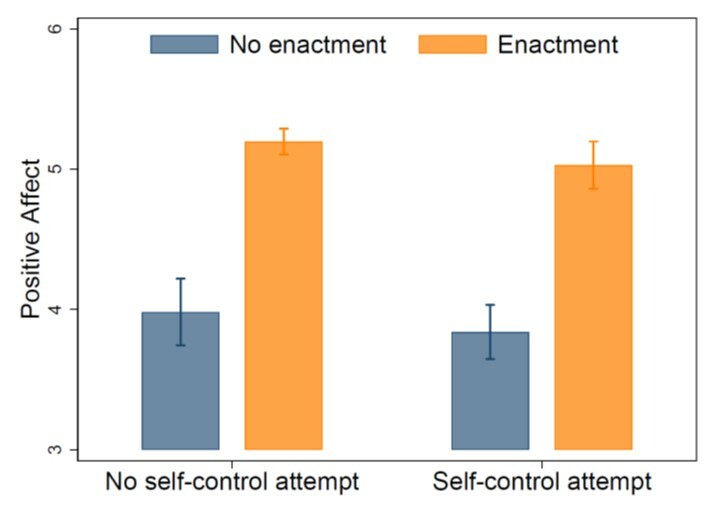 On the left we see that people have more positive feelings when they enact a given desire (versus when they do not enact it), given that people to not try to resist enacting the desire. That is in line with previous literature. 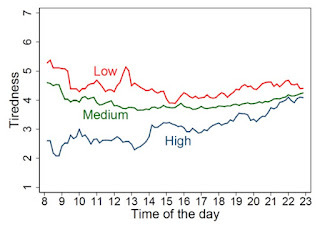 However, on the right we see that the same "enactment-boost" is present, when people tray to resist enacting. 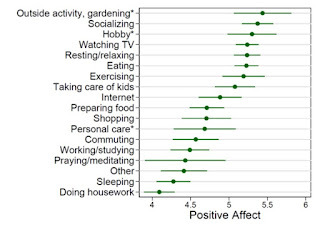 The latter is contrary to recent findings and suggests that people "might just enjoy it" despite being a self-control failure. 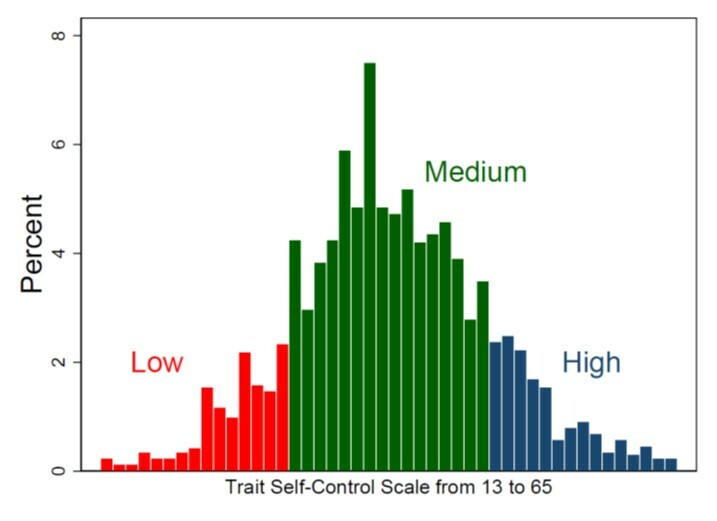 Figure 9: Trait self-control across the population color coded in low, medium, and high. Figure 10: Especially in the first half of the day, people with low trait self-control are more tired than people with high trait self-control. Delaney, L., & Lades, L. K. (2017). 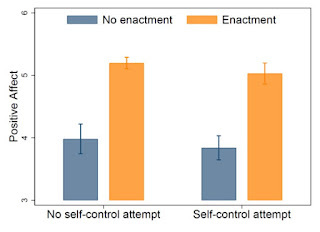 Present Bias and Everyday Self‐Control Failures: A Day Reconstruction Study. 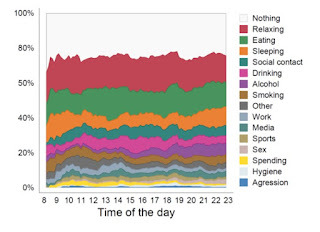 Journal of Behavioral Decision Making, 30(5), 1157-1167. 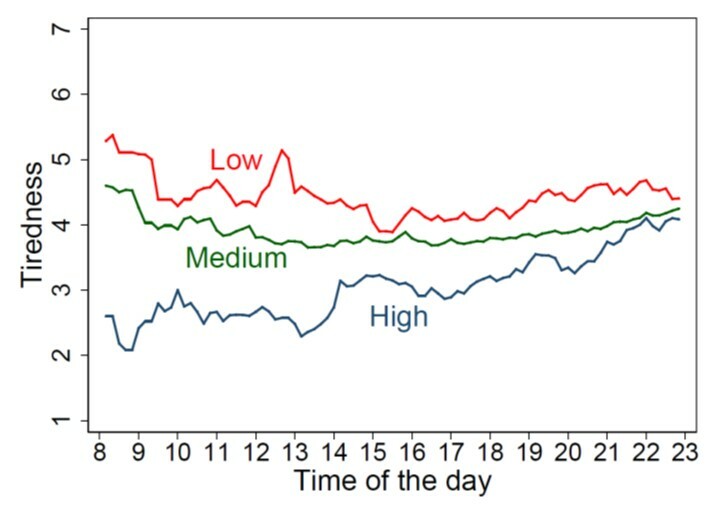 Hofmann, W., Kotabe, H., & Luhmann, M. (2013). The spoiled pleasure of giving in to temptation. Motivation and Emotion, 37(4), 733-742.